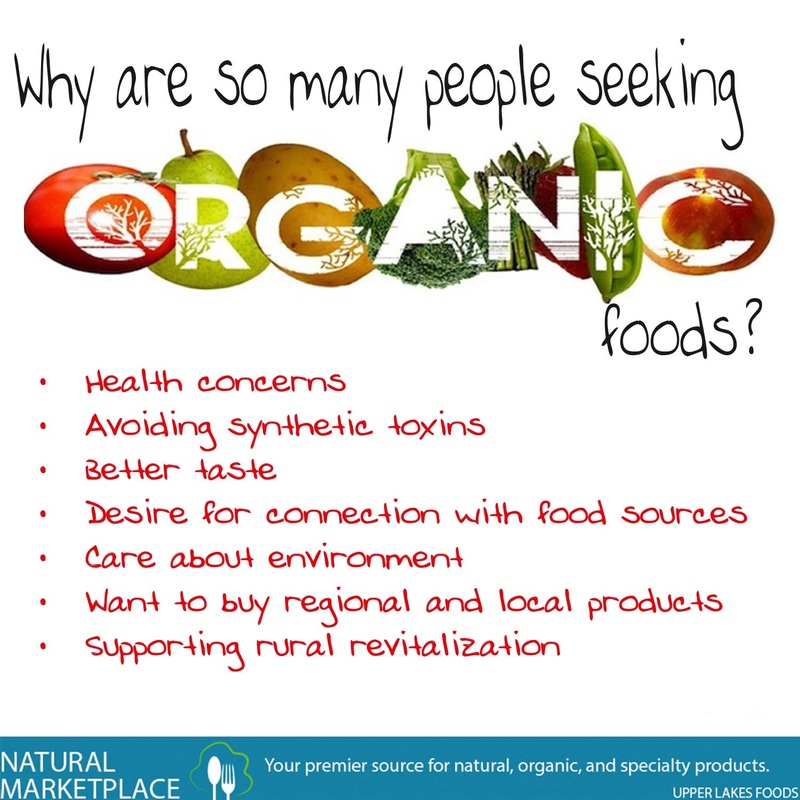 Organic foods provide a variety of benefits. Some studies show that organic foods have more beneficial nutrients, such as antioxidants, than their conventionally grown counterparts. In addition, people with allergies to foods, chemicals, or preservatives often find their symptoms lessen or go away when they eat only organic foods. The word "organic" refers to the way farmers grow and process agricultural products, such as fruits, vegetables, grains, dairy products and meat. Organic farming practices are designed to encourage soil and water conservation and reduce pollution. Farmers who grow organic produce don't use conventional methods to fertilize and control weeds. Examples of organic farming practices include using natural fertilizers to feed soil and plants, and using crop rotation or mulch to manage weeds.